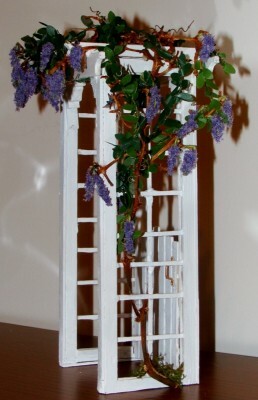 This Garden trellis was a fixer upper. Someone in our group put it in the share case and I rescued it. 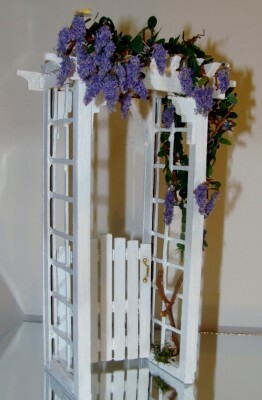 Removed the flowers it had on it, removed the old paint, repainted and added the wisteria plant. I made the wisteria from “flowersoft”. 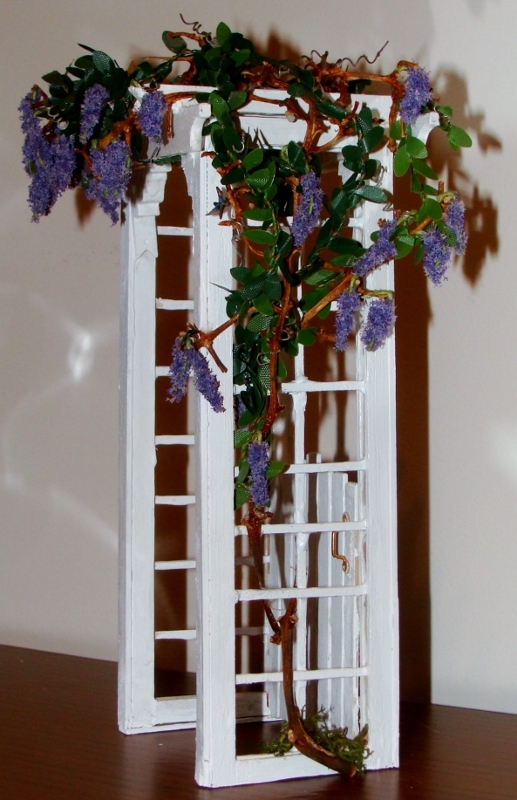 It was a lot of fun and I hope to make a lot more wisteria. I’ve always enjoyed the look of wisteria in real gardens .